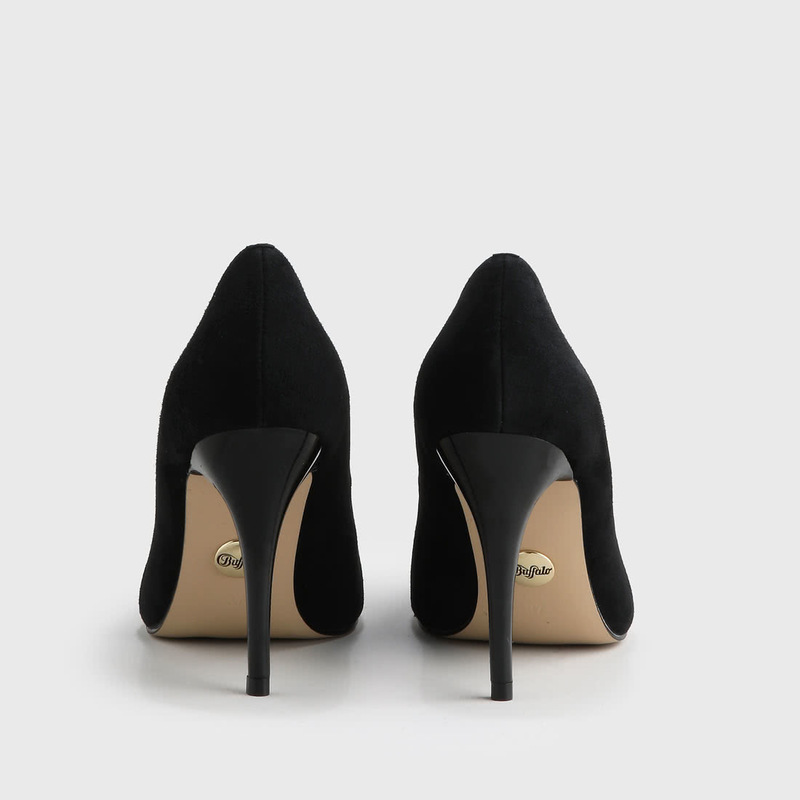 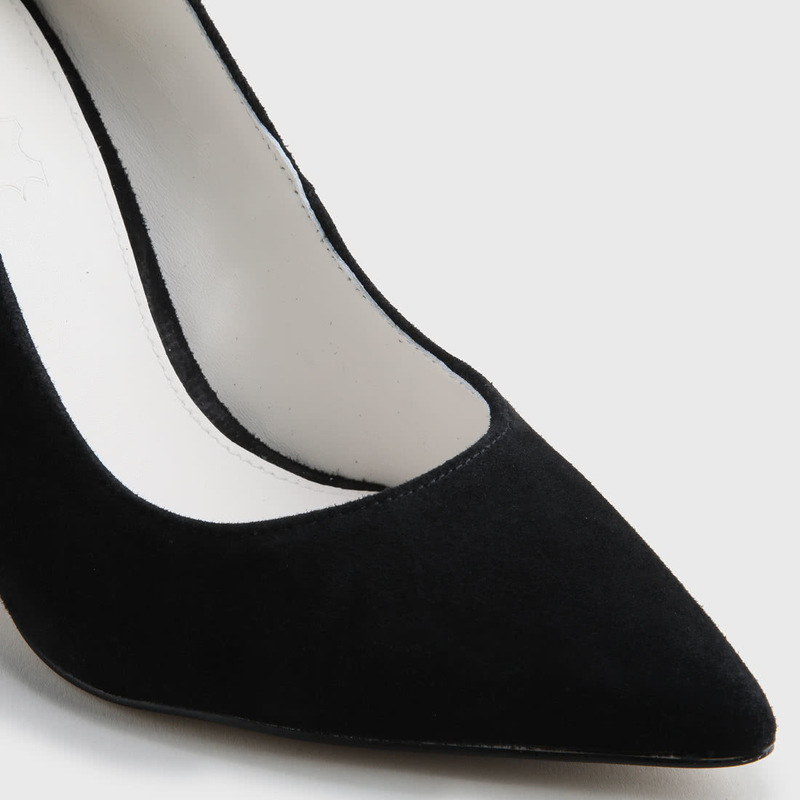 Whether in the office, having a fancy dinner or a first date, everything will be just right with the black Buffalo pumps made of suede. 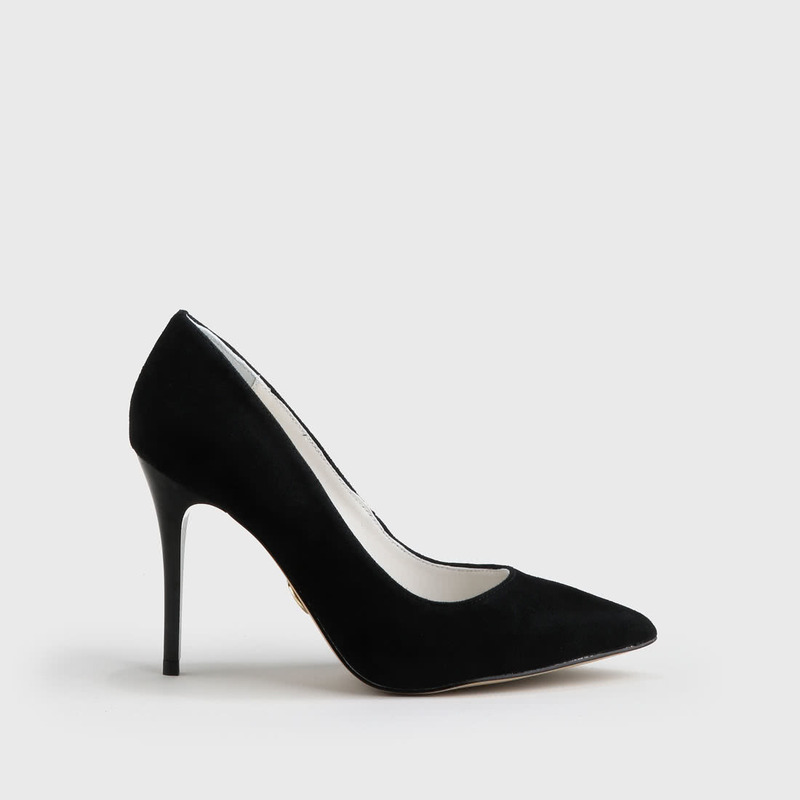 Their sharp silhouette, elegant stiletto heel and narrow outline make it look great with any style. 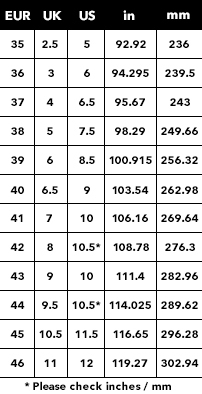 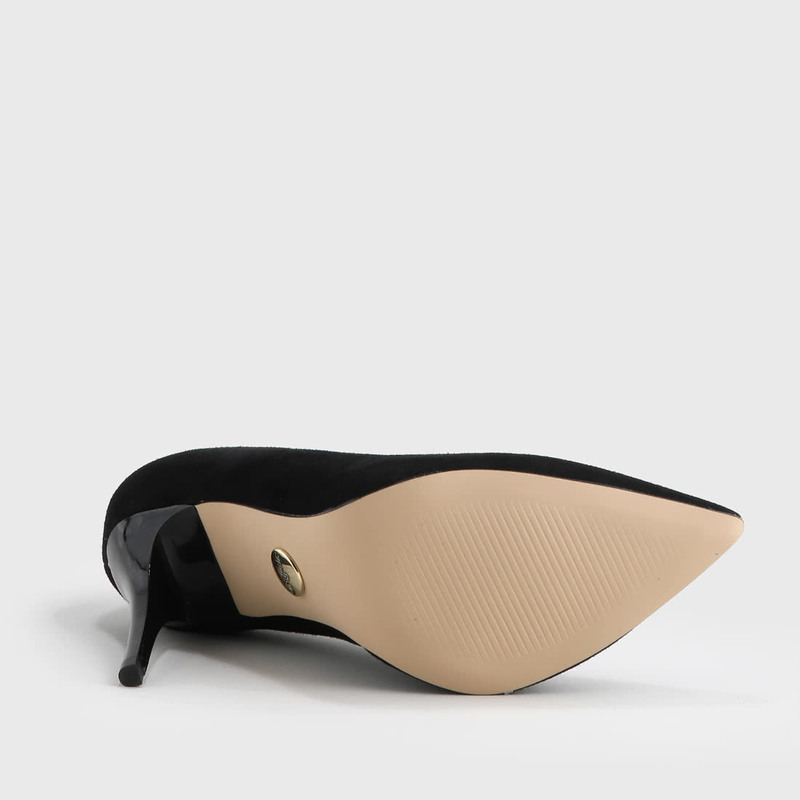 Plus, your feet will be comfortable at all times thanks to the padded insole.